In recent months I’ve been finding the need for an ‘on camera LED light’ mounted to my DSLR and mirrorless camera rigs, while simultaneously thinking about an option for the smartphone. 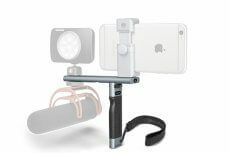 I was after a lighting unit that would mount to the still camera hot shoe that offered dimming control and a filter system, with the option for use alongside the smartphone. 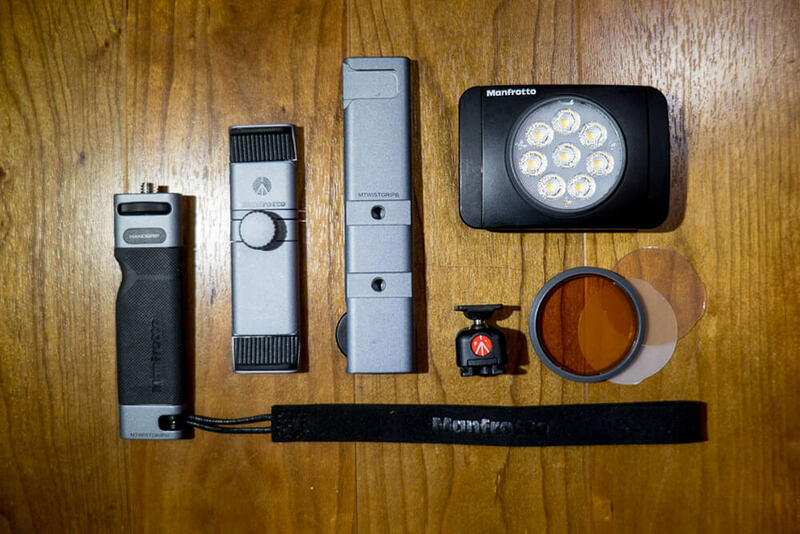 There’s plenty of situations when a steady light is chosen over the on-camera or remote flash, and as a photographer, it’s nice to have the option in any given situation sitting in your camera bag. 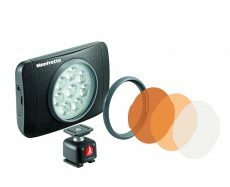 After researching Manfrotto.com I located the Lumimuse 8, a compact, lightweight and easy to use lighting unit that proves worthy. 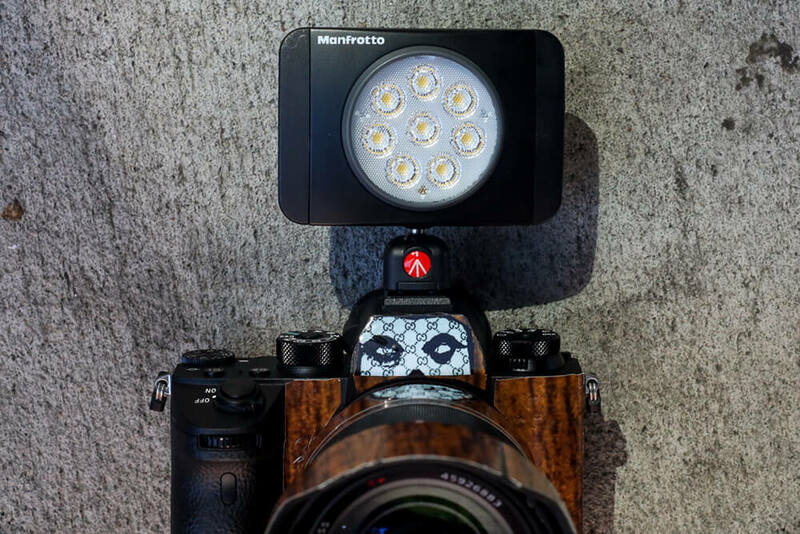 You could imagine it was quite a joy to discover another much-needed accessory, as I’ve become accustomed to the ever-expanding line of quality Manfrotto products. My first assignment with the Lumimuse 8 was capturing images in a gallery setting; a location where the overhead lighting was sufficient, but I was after some effects in addition to available light. 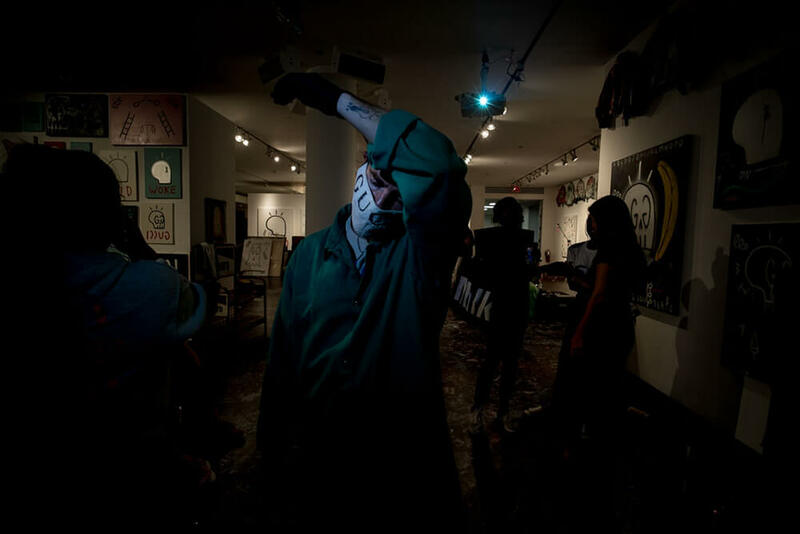 An artist friend was setting up his show and I was tasked with a behind the scenes look of the entire operation. I bumped up the camera ISO setting to expose many of the photos evenly, but I wanted a group of images in addition to location shots that showcased the mood of the artist. I was able to stop down the manual lens to underexpose the background slightly, selected my composition, adjusted the Lumimuse 8 dimming control for ideal light on the subject’s face and snapped away. The light put just the right amount of illumination on my subject to give you that feel of long hours in the gallery running up to opening night, so I walked away knowing my gear selection came through when needed. 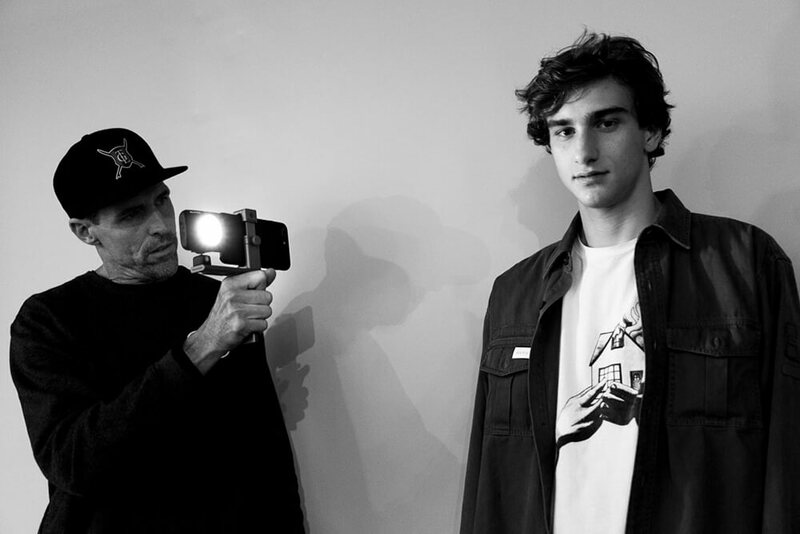 The second task utilizing the Lumimuse 8 was capturing indoor video footage of a male model for a clothing brand where art direction detailed tightly cropped compositions with very specific lighting honed in on tailored cuts and threads. Alongside a smartphone I felt the Lumimuse 8 was perfectly suited for the assignment, so I assembled the Hand, Base and Twist Grip System, mounted the light to the cold shoe and began shooting. Simple dimming control with the touch of a button enables you to change light intensity in mere seconds while utilizing the Snap Fit Filter System to change up lighting color and temperature, it’s a really a straight forward and convenient system to use. 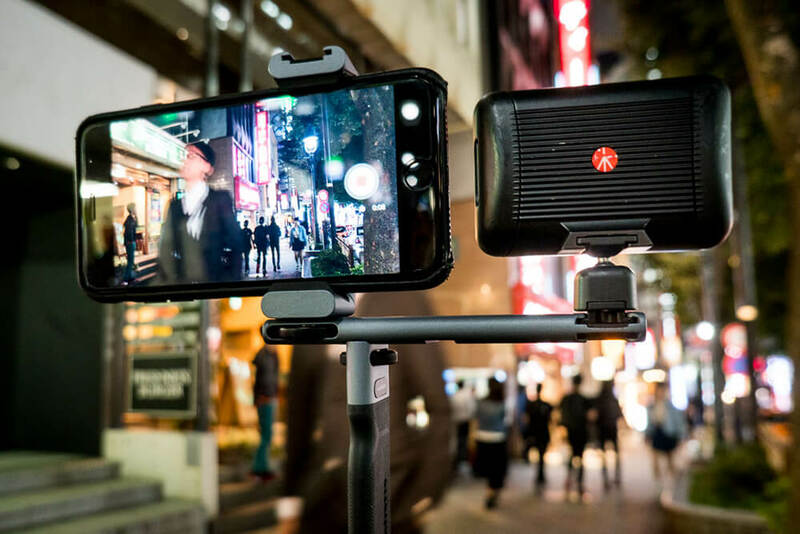 Lastly, I took the Twist Grip System and Lumimuse 8 into the streets of Tokyo, Japan in hopes of capturing some unique time-lapse footage of the crowds and buildings. I selected my location, assembled the Twist Grip System, locked it down to a Manfrotto MT055 CXpro3 Carbon Fiber Tripod, clicked the Lumimuse 8 to the desired intensity level and hunkered down through a series of time lapses. The results were to my liking as the city lights provided a strong ambient presence while the Lumimuse 8 illuminated the passersby as they crossed near the lens.